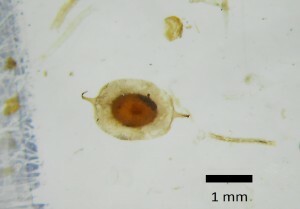 This is a statoblast of the species Lophopodella capensis or possibly Lophopodella stuhlmani. Some information on the distribution of this freshwater bryozoa can be found here. Bryozoa statoblasts like these were found in the late Holocene sediments of Nyabuiyabui Swamp, a freshwater swamp on the Mau Escarpment in Kenya, at 2900 m asl. 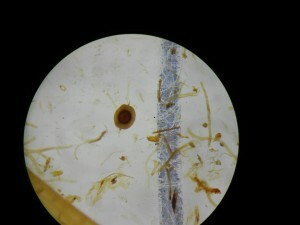 If it is possible to identify this to the genus or species level please contact us! It may yield some information on the evolution of this important wetland. It appears to be 2-3 mm or so in diameter, has a darker center, and rounded hooks at each end. Possibly from the Lophopodidae family? Francis, D.R. 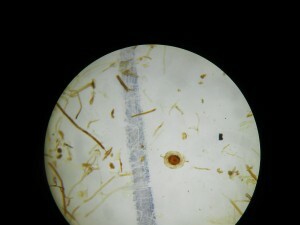 (2001) Bryozoan statoblasts. In Smol, J.P. Birks, H.J.B. and Last, W.M. (eds) Tracking Environmental Change Using Lake Sediments. Volume 4: Zoological Indicators. Kluwer Academic Publishers, Dordrecht, 105-123. Lacourt, A.W., 1968. A monograph of the freshwater Bryozoa-Phylactolaemata. Zoologische Verhandelingen 93, Leiden. Massard, J.A., and Geimer, G. 2008. Global diversity of bryozoans (Bryozoa or Ectoprocta) in freshwater: an update. Bulletin of the Société des Naturalistes Luxembourgeois 109: 139-148. 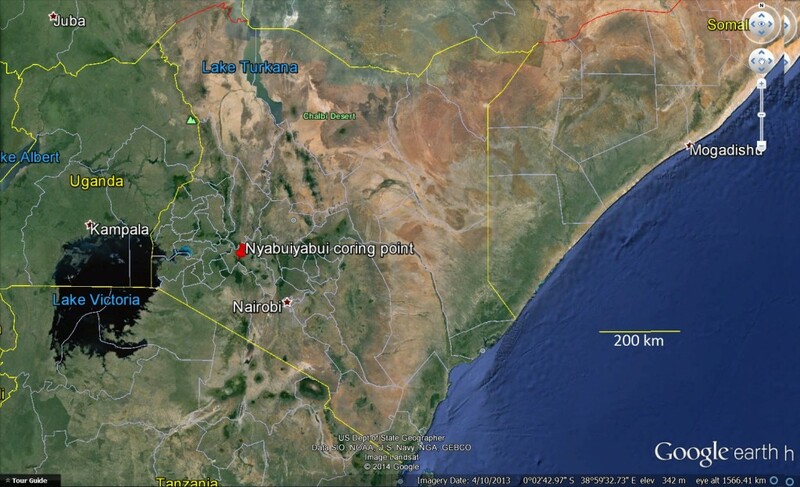 Study site location in Kenya, East Africa. 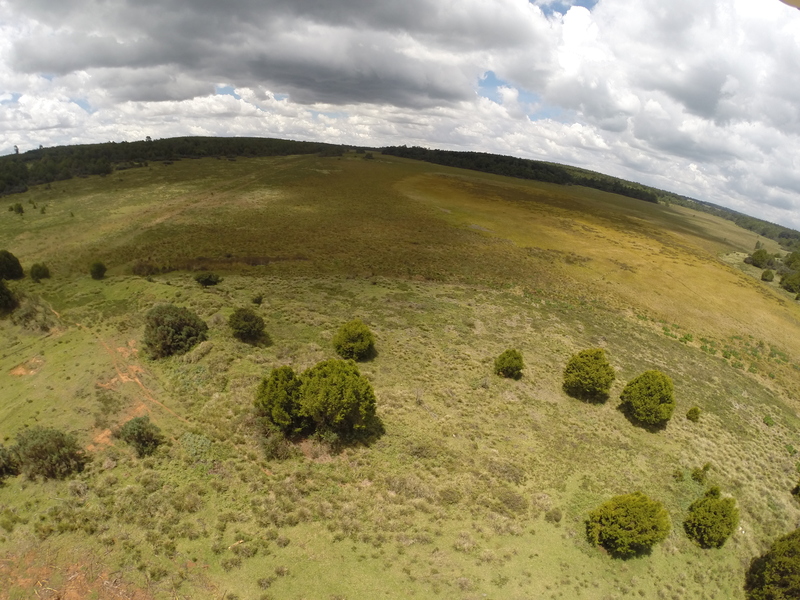 Aerial photograph of Nyabuiyabui Swamp using the DJI Phantom II quadcopter and a Go Pro camera. 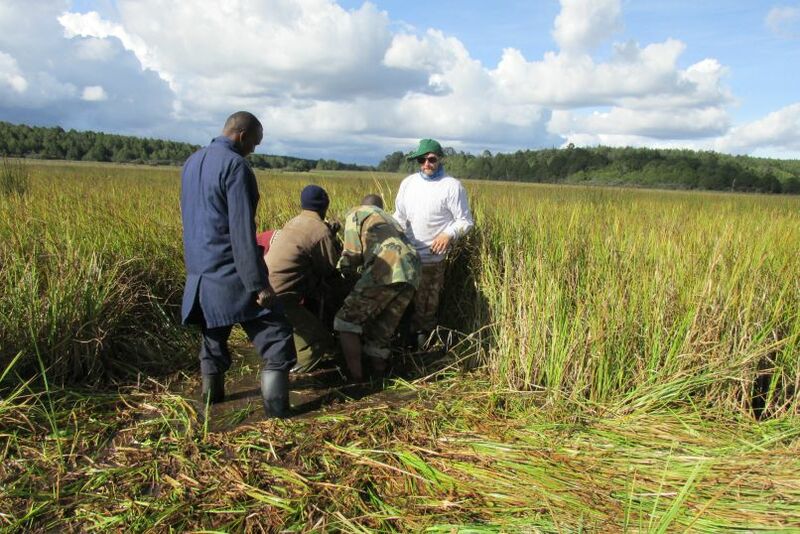 Coring the central wetland area of Nyabuiyabui Swamp using Russian corer. For more about the fieldwork click here. 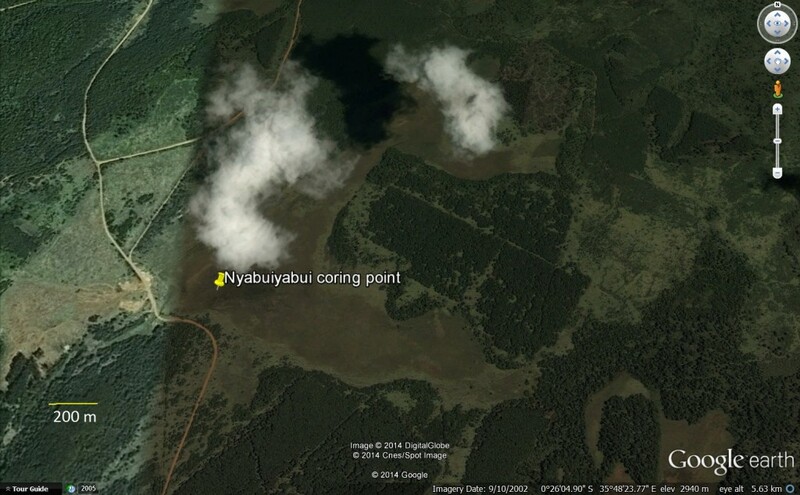 Panorama of Nyabuiyabui Swamp and forest access roads.